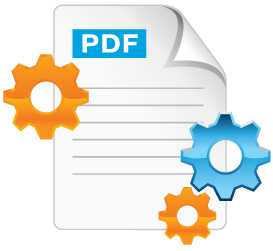 Qoppa Software, a leading provider of PDF solutions, is pleased to announce the release of PDF Automation Server v2016R1, the latest version of Qoppa Software’s flagship PDF processing server. Additionally, Qoppa continues to improve on the workflow module of PDF Automation Server by adding a custom PDF scripting module, which opens up a full API to work with PDF documents. The custom scripting module allows workflows to be more flexible and to use external services as part of the processing of PDF documents. As more and more companies and industries are replacing paper with PDF documents, and implementing document driven processes automatically across the enterprise, Qoppa PDF Automation Server has become an essential tool in IT infrastructure. This entry was posted in PDF Automation Server on June 3, 2016 by qoppacom.